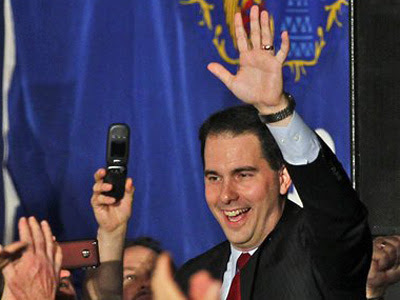 This week’s contest is dedicated to Governor Scott Walker and Lieutenant Governor Rebecca Kleefisch, of course. And humbly, to the memory of Torpedo Squadron 8 and the men of Pont Du Hoc, who helped turn the tide. This week, Right Truth, Pirates Cove and Ask Marion took advantage of my generous offer of link whorage and earned honorable mention status with some great pieces. The Political Commentator – Finally, something intelligent out of the mouth of John Rocker! Doug Ross – Hey, don’t worry about the Dept. of Injustice interfering in Wisconsin’s election: John Boehner just put Eric Holder on ‘Double Secret Probation’ submitted by VA Right!